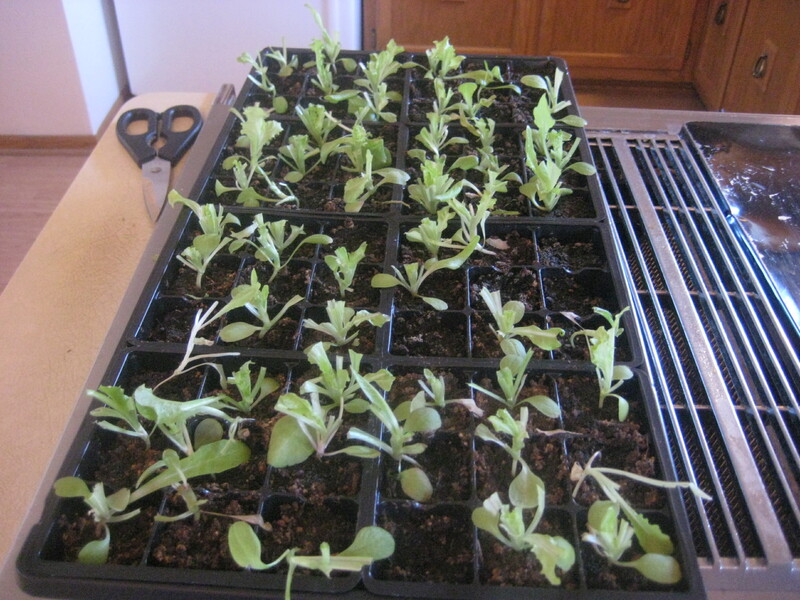 Leaves & Shoots: A tale of basement gardening success. It may not be the coldest March on record, but it’s starting to feel like the longest. At least here in Wisconsin, where I haven’t seen the grass since February. And the sun, haven’t seen much of that either. But I can’t complain too much. You see, despite frightful cold and lingering snow, I’ve been gardening. Not outside like last year, when record warmth allowed peas and radishes to go in the ground in March. No, this year I’ve got a basement garden up and running. 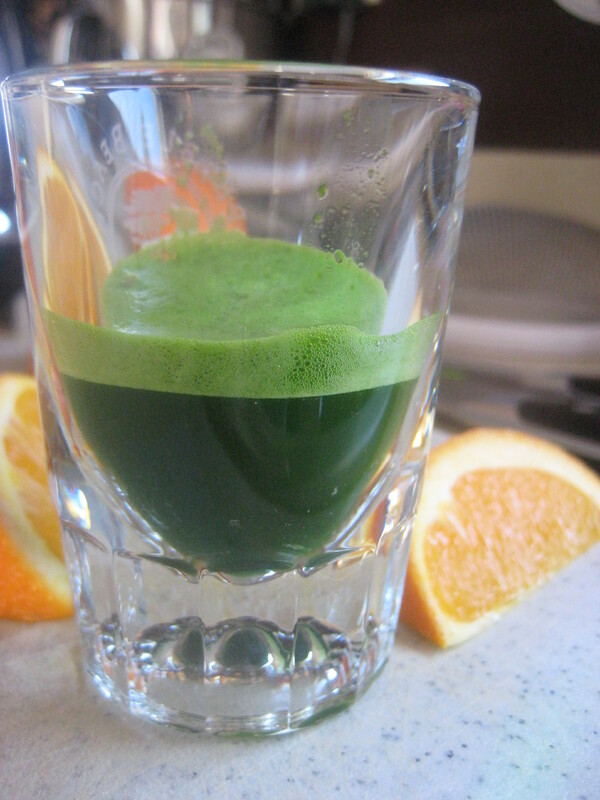 I started it back in January so that I could grow wheatgrass for juicing. 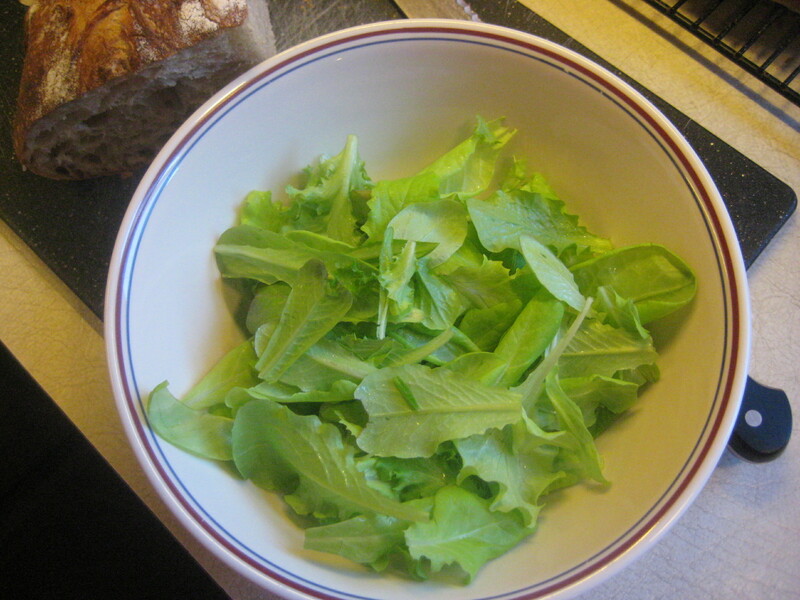 That was so successful that I thought I might expand into lettuces. Success again! And now that it’s March I have my garden starts growing under the lights too. 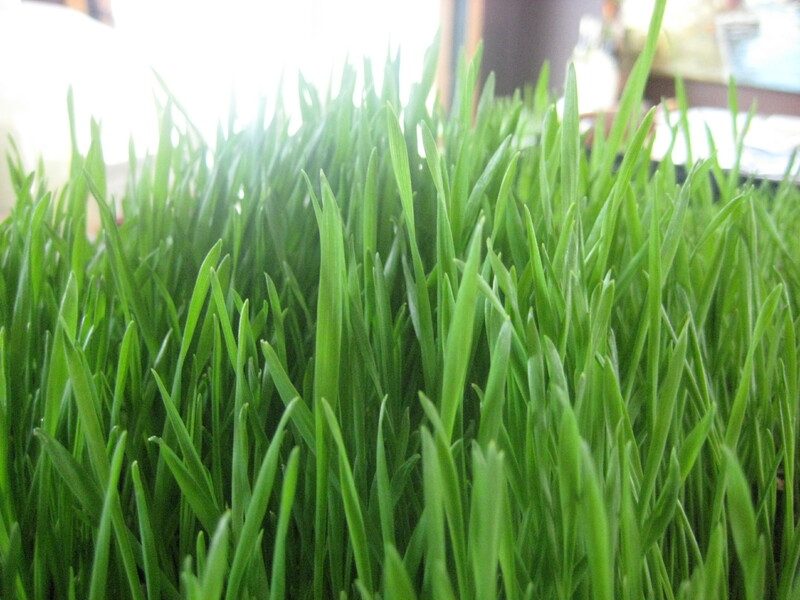 This is the only grass to be found at my house. I’m having so much fun experimenting with this. 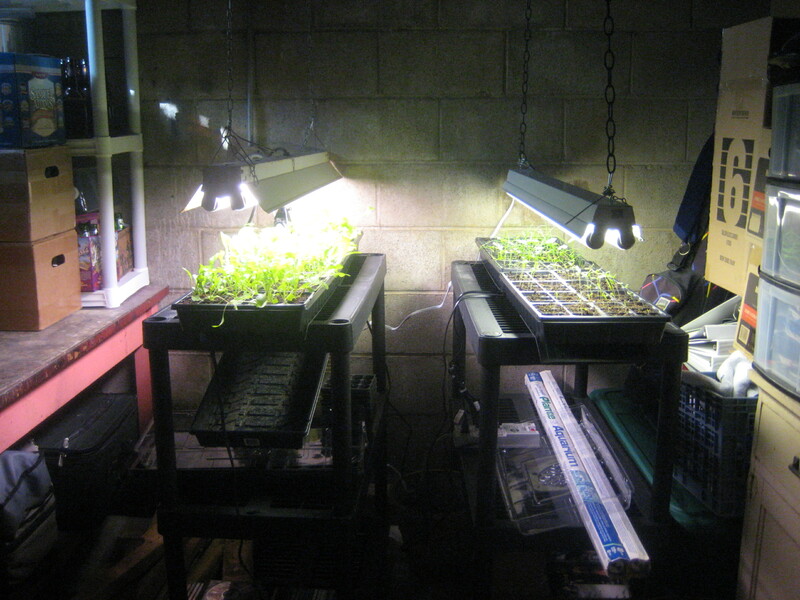 My setup is simple–two grow lights hung from the rafters and heat mats below. The lights are on a timer system, so they come on and shut off automatically. I just have to make sure everything has enough water. 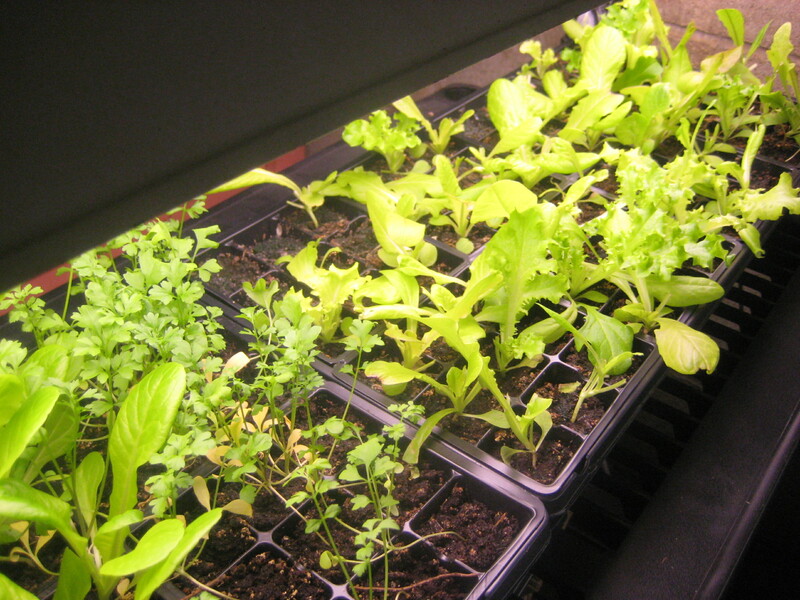 Basement gardening. Our basement is typically 55 degrees in the winter, but the heat mats and lights make it warm enough for germination. You should know that I have no idea what I’m doing, I’ve never done this before and I did basically no research before setting it up. But it’s working! And I’m pretty excited about it. The lights stay on for 12 hours a day. I brought the lettuce up to a sunny spot today before cutting for dinner. This is probably enough light to keep them up here… if only we had sun like this every day. Tray after cutting of lettuce. Now it will return to the basement or sit next to the patio door and grow more lettuce leaves. Lettuce ready to be dressed for dinner. Tomatoes and other veggie starts easily germinate under these ideal conditions. 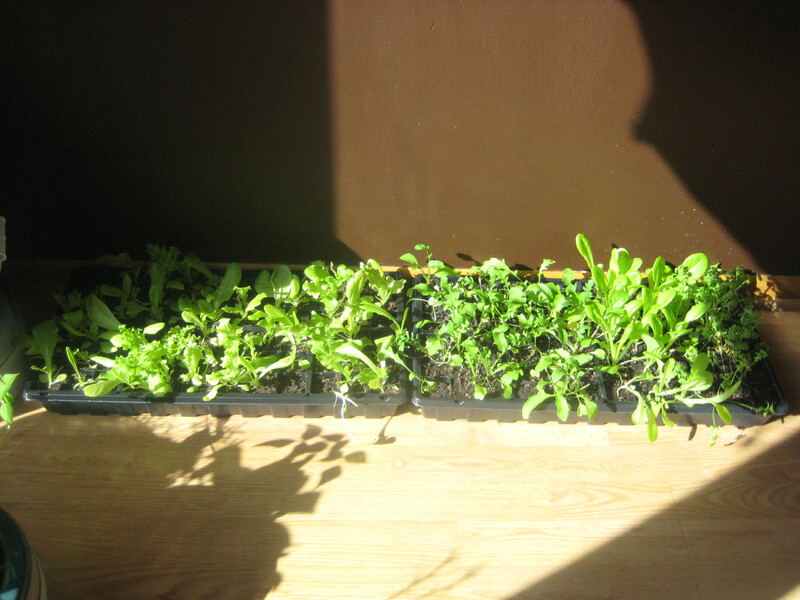 I have also started some herbs with the intent of growing them in a pot in the house. In addition to that, my kids planted some peas in take out containers so that we can add pea shoots to our salads. I’m not going to let this miserably cold weather stop me from enjoying my hobby. I’ve just had to find different ways to grow while I wait out winter. 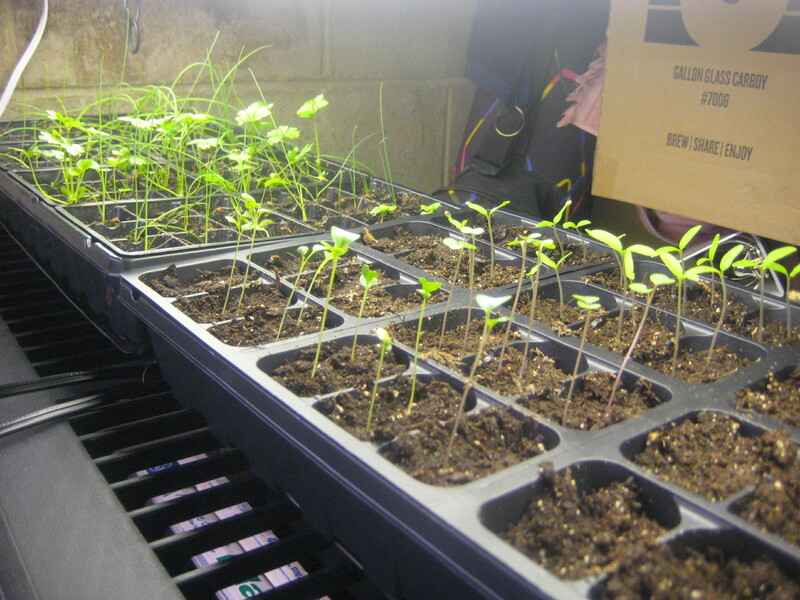 This entry was posted in Vegetables and tagged basement gardening, grow lights, lettuce, seed starting, seedlings, vegetable starts, wheatgrass. Bookmark the permalink. This is great! It seems to me you just have gardening intuition! 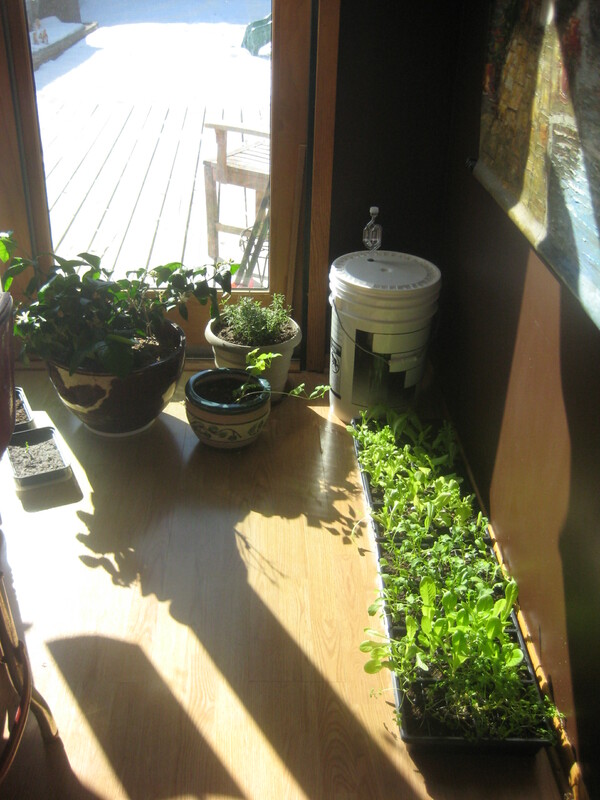 Not all that long ago I tried (rather unsuccessfully) to grow micro greens in my south-facing dining room. 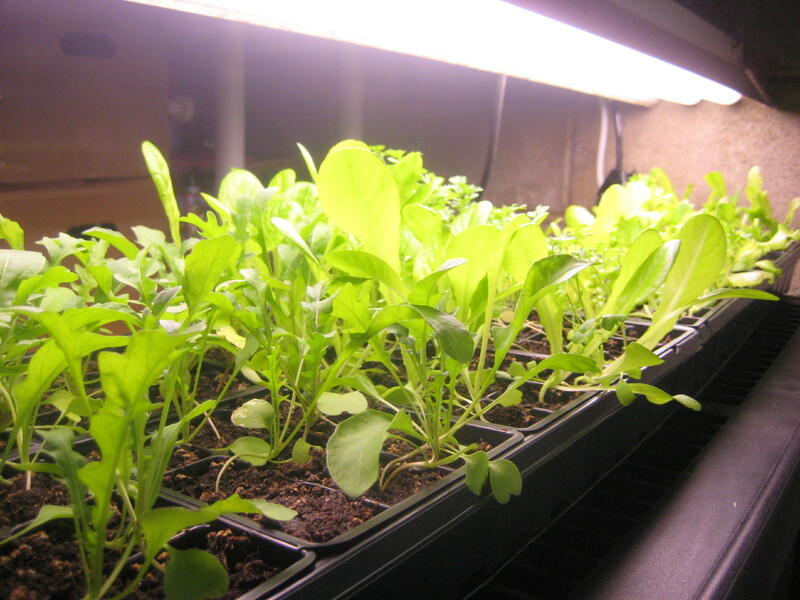 I was inspired by a library book… But only got a few spindly tart radish shoots for my efforts, nothing like ever-growing salads from a basement! Those bright shades of green look so promising on the gray days! You get to look at spring by just visiting your basement! attention and giving you some mighty tasty salads. Bravo!